The Chief Executive Officer of the Ghana Trade Fair Company Limited, Dr. Agnes Adu, is threatening to take legal action against suspended General Secretary of People's National Convention (PNC), Atik Mohammed for defamation. 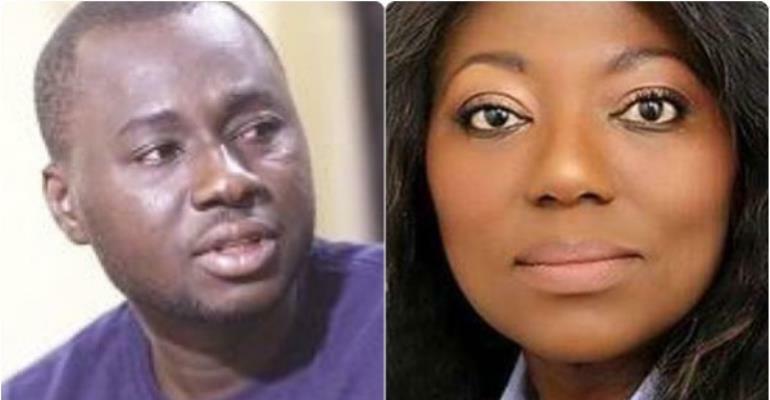 Atik Mohammed in a Facebook post accused Dr. Agnes Adu of collecting GHC20,000 as monthly salary describing her as “insensitive” considering that the company was not financially sound. But responding to the allegations, Dr. Adu refuted claims that she draws GHc20,000 as monthly salary, and demanded an apology from Mohammed or be prepared to meet her in court. Dr. Agnes Adu explained that when she took over as the CEO of Trade Fair, the place had been disconnected to the national grid and their employees had not been paid for about 18 months. She also added that the previous CEO had not collected rents from institutions occupying running into to about GHc2 million. “The NDC CEO had ran this company to the ground. If I want to flush the toilet, my first day on the job, I had to fetch water with a bucket and pour into the toilet tank!!! And that was only the beginning,” she wrote. She also claimed that “I worked for free at no pay and I continue to work month after month with no pay. I drive my own car to work every day. For the first time in 18 months the employees except me get a paycheck every month. I don't!!!!!!! I have restored ECG power to Trade Fair Center for the first time since 2015!!! And I still haven’t been paid because I am here to turn the company around,” she added. But Mr. Mohammed in a Facebook post on Thursday February 22, dared the Trade Fair CEO to go to court.